Many services today are buying/selling bitcoins, but it is often difficult to find the right one for yourself. Moreover, bitcoins and other cryptocurrencies being a decentralized market, possess an increased risk of getting scammed. On the other hand, centralized exchanges and services pausing their registrations when the interest in crypto grows is a hindrance too. (We all know how it impacted new investors in December 2017). More so is the issue faced by people in third world countries where there is less to no banking support. These people often get deprived and neglected by the crypto revolution amidst which we are. But today we are discussing a service that goes beyond all these barriers and makes it easy for anyone to buy/sell BTC irrespective of where they live or what they have. The service is LocalBitcoins (aka LBC). And today we are going to explore in depth about it and see if it is a safe & legit service to use, to support my claim which I made earlier. Let me start by introducing the company and its history. LocalBitcoins is a Finland-based Bitcoin start-up operating in this space since 2012. They are a peer-to-peer Bitcoin exchange company where you can find buyers and sellers to deal in Bitcoin. 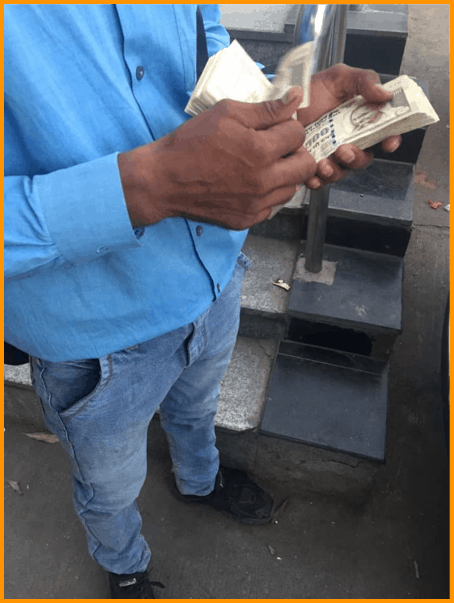 They also provide escrow services so that you can trade bitcoins without getting scammed. Moreover, using this service one can trade in bitcoins in more than 16000 cities and 240 countries around the world, which is huge. Still thinking why to use LBC? Well, there are plenty of reasons to use this service. We will talk about those in this review, but two most important ones are – one, it is peer to peer, and second, it has more than 35 payment options. As stated earlier, LocalBitcoin is a P2P marketplace for BTC. You can also think of it as an eBay for bitcoins but stick around to see it for yourself why I am saying so. In this review section, I am going to highlight some of the USPs of LBC. And later on, I am going to share our experience of using it, and what more we are looking for in LBC. 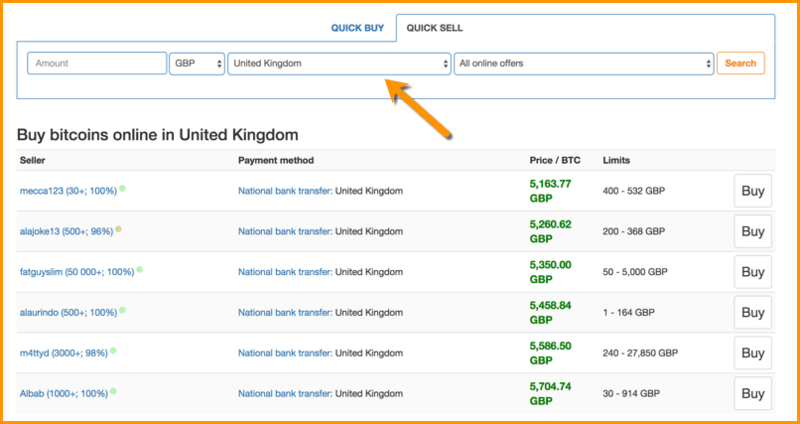 See this introductory video on how to buy/sell bitcoins on LocalBitcoins. 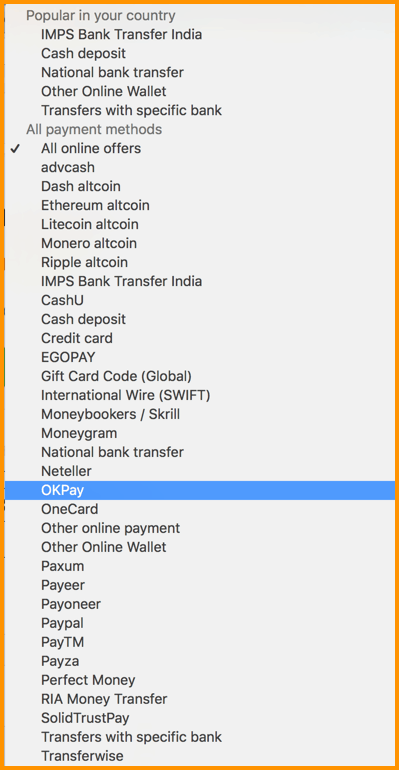 Go to relevant ‘Quick Buy’ and ‘Quick Sell’ section and select your country and payment method (we will talk about this later in detail). Similarly, you can apply the same filter on the ‘sell’ side and find out the relevant trade. And in this preview, you can see the buyers and sellers list in the above and below image. Once you have seen the buyers and sellers list, filter out reliable buyers and sellers according to their reputation. The reputation can be seen in brackets against the name of seller and buyer in this form (30+, 100%). This is how you will see the trade and seller/buyer details on clicking the deal. You can vouch for feedback score of anything above 90% and confirmed number of trades above 20. At least this is how I narrow down my trades and seller/buyers, and it has worked well for me. All online trades on LocalBitcoins are escrow protected. Meaning, when trade begins, the amount of bitcoins for the deal is automatically reserved from the seller’s LocalBitcoins wallet. 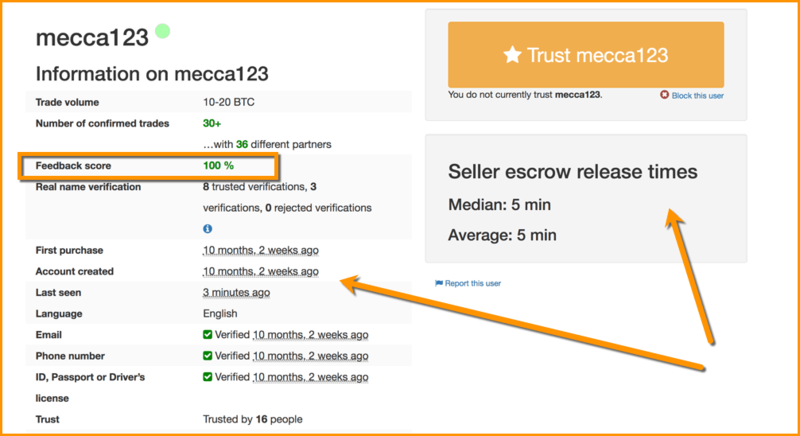 This means that if the seller runs away with your money and does not release your Bitcoins, LocalBitcoins.com support can release the Bitcoins to you from escrow. On this note, if you’re selling Bitcoins, never release the escrow before you know that you have received money from the Bitcoin buyer. When you indulge in a trade, the option to give feedback about the seller and buyer gets activated. You can use these feedback scores to rate your trade experience with a particular trader and help LocalBitcoins preserve that rating for future. In this way, with each trade, you are making LBC a better and more secure platform. 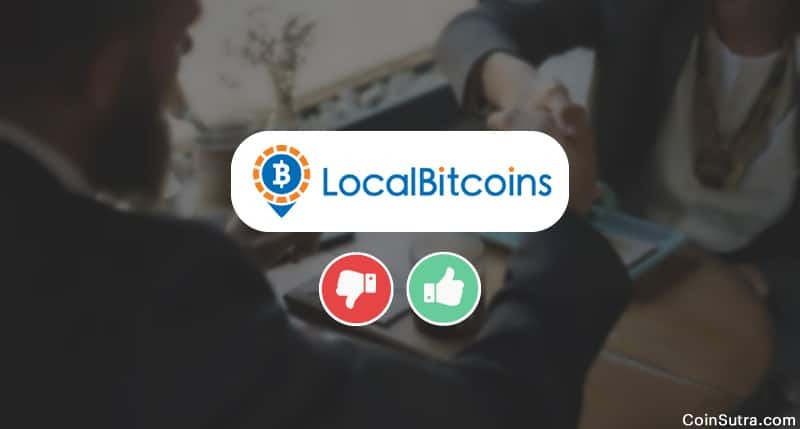 And for this, there are four types of ratings or feedback one can give on LocalBitcoins based on their experience of trade. This score also decides whether the trader will be listed on the top or at the bottom. I was quite impressed with their fee model as registering, buying, and selling is entirely free. While creating an advertisement, the users who develop ads are charged 1% for every completed trade. And another cool thing is that while transferring BTC to wallets of other LocalBitcoin users the transaction fee charged is zero. Basically, you can do free transactions to and from LocalBitcoin user’s wallets. In my case, the LBC support team has been rather quick. Their support team is reachable on emails and replies within three days. But in events when Bitcoin trend is surging, their support comes under tremendous pressure due to which the response gets slightly delayed. But in that case too, their support is useful, and their frequent issues section is also very helpful in raising tickets. 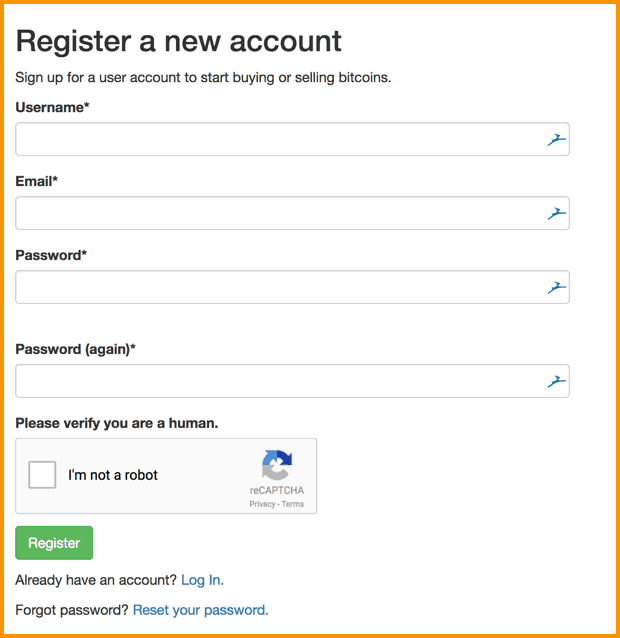 Getting started on LocalBitcoin is pretty straightforward. In earlier days on LBC, you could have traded BTC anonymously or through an alias account, but from April 2018 this has changed as it has started requiring KYC. For now, you need to register yourself using your e-mail ID and get your KYC done by uploading your identity verification documents like passport, driving license or national ID proofs, failing which you have to give up trading on LocalBitcoins. This is because LBC is now regularly pulling out huge volumes of trade and this has called for the KYC step. However, it is a good thing because this means you will never face liquidity problems which was common earlier. Can You Trust LocalBitcoins? Is It Safe? We have used it, and we rate it highly as a go-to service for people who want to buy Bitcoin in cash in any other third world countries where the banking infrastructure is not as supportive. Thoroughly check the terms of the trade while dealing in BTC on LBC. If you are a seller, never release the escrow manually before you have checked and received your money with you in your bank or your hands. If you are a buyer, wait for at least six confirmations before considering the BTC transaction successful. This can take up to an hour. If you are dealing in huge volumes, it is advisable to meet the buyer/seller in a public place. Always stick to communication on the LocalBitcoins platform itself so that in case of any dispute it can be used as proof. Avoid using WhatsApp or Facebook for communication. If you do these things right, you don’t need to worry about getting scammed. 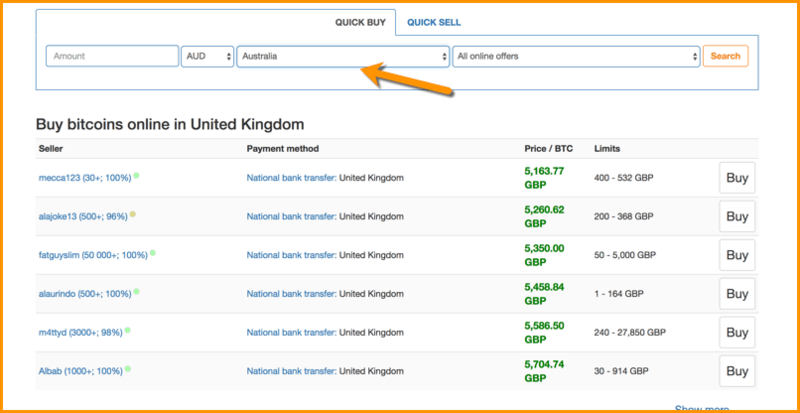 Plus, LocalBitcoins’ UI is intuitive to navigate which makes it a top contender amongst P2P Bitcoin exchanges. So go ahead and try out LocalBitcoins for yourself. Now time to hear from you: Have you used LocalBitcoins yet? If you have, do share your experience with us in the comments below.